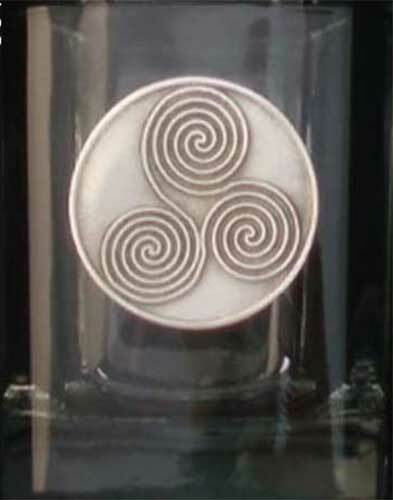 This Irish whiskey glass set features an elaborate Celtic knot and Trinity along with a Dara knot and the Newgrange spiral. 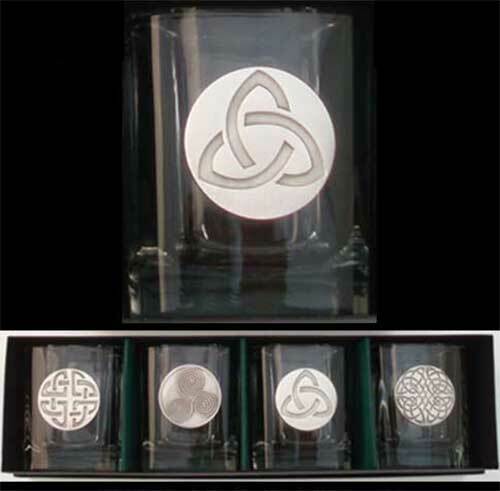 This set of Irish whiskey glasses features four different Celtic symbols that are embossed on pewter emblems. 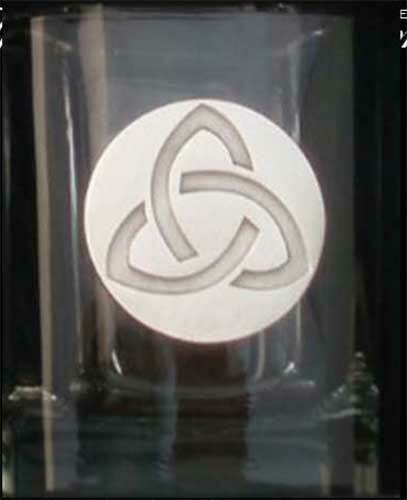 The square bottom, prism shaped, Celtic whiskey glasses hold 10 ounces and are dishwasher safe. 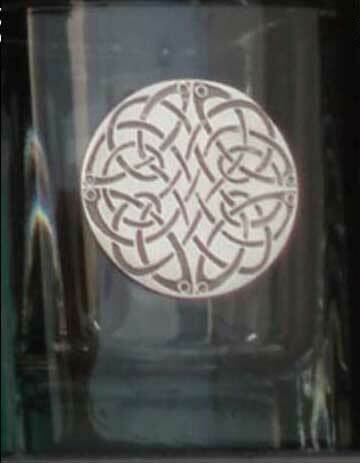 The Irish low ball glasses are made in the United States and are gift boxed with Celtic knot and Celtic spiral history cards, complements of The Irish Gift House. These Celtic glasses are sold as a boxed set of four. 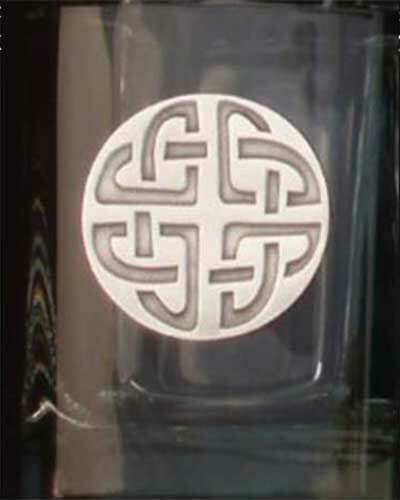 Irish whiskey glasses features pewter emblems with Celtic knot-work. This Celtic whiskey glass style is also called lowball or double old fashioned.